Young Asian Couple Shopping And Looking At Cellphone, Closeup Portrait. 免版權照片，圖片，畫像及圖片庫. Image 31939171. 版權商用圖片 - Young Asian couple shopping and looking at cellphone, closeup portrait. 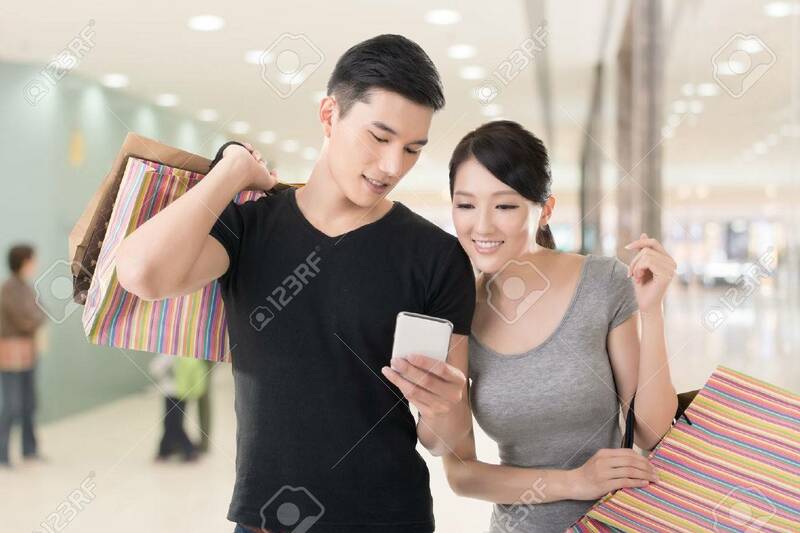 Young Asian couple shopping and looking at cellphone, closeup portrait.